In other words…. It’s the little things that make us great. 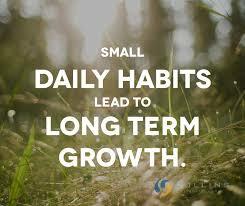 If we cultivate good habits, we are able to take control of our life.